Sky is now the lucky owner of an iPad 2, simply because he completed his Course Teaching Evaluation and Improvement (CATEI) survey last semester. The Faculty recognises that its students and their opinions are a significant contributor to our success. CATEI is important as it provides our teaching staff with valuable feedback on courses and teaching, which in turn, helps us to continuously improve our programs. The survey is currently open for Semester 1 2011 and another iPad 2 will be given away to one lucky student drawn at random from those who complete the survey. Toby McInnes and Chris Smith's award winning Bike Rack as Art design "Quale"
Former UNSW industrial design student Toby McInnes has been awarded both the Highly Commended and People’s Choice award in the recent national Powerhouse Museum “Bike Rack as Art” design competition. 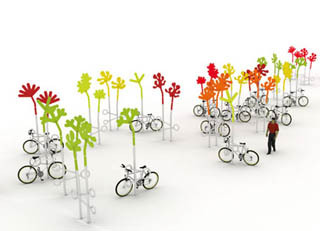 The Bike Rack as Art competition is part of the NSW government initiative “BikePlan” and was launched by the Powerhouse Museum and the Roads and Traffic Authority of NSW (RTA) during Sydney Design 2010. The competition invited participants to design a cutting edge public bike rack that is both a beautiful item of street art as well as a long-lasting, easy-to-use, functional device. Toby worked in collaboration with fellow designer, Chris Smith, to create their award winning concept “Quale”, which will now be installed at six locations throughout the Parramatta, Liverpool and Penrith areas. Their winning design can be viewed below. In Toby’s final year of his industrial design degree he won the John O’Brien Scholarship and Breville Young Designer Award for his Breville Fruit Bowl concept. He was also shortlisted in the 2008 Australian Design Awards for his design “Bedu”, an emergency rapid response product, which was exhibited at the graduate Sustainable Design Exhibition ’08 and at the Powerhouse 12th International Design Festival. He is currently working on the Green Houses project for the Department of Housing. To view other winning design entries, click here. 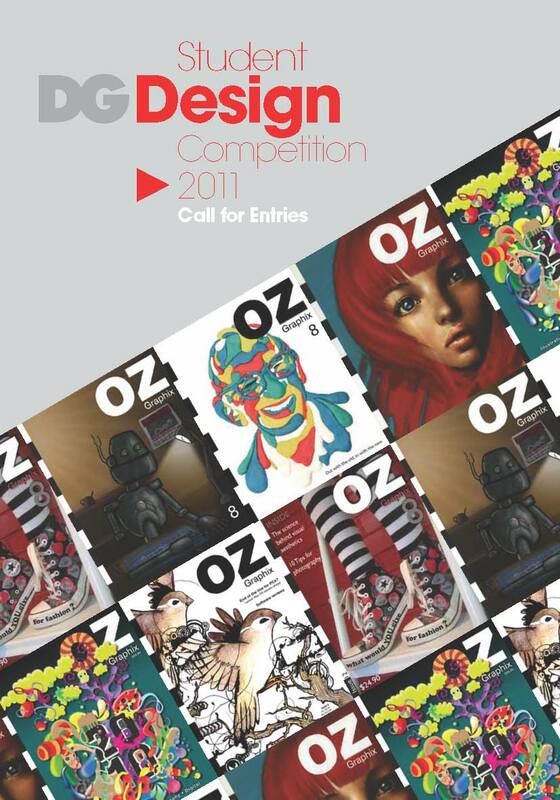 The DG Student Design Competition 2011 is now calling for entries. This year’s challenge is to design a cover for an imaginary issue of DG magazine with the theme “Images of the Decade”. Students can choose the decade for their design. Students are encouraged to capture the cultural flavour and essence of their chosen decade through one or more images. For more information, visit out competition page on the BE website.